Bottomless Aperol Spritz is available on Sundays. Brunch. It's that wonderfully social meal that's become a staple of a Londoner's weekend. 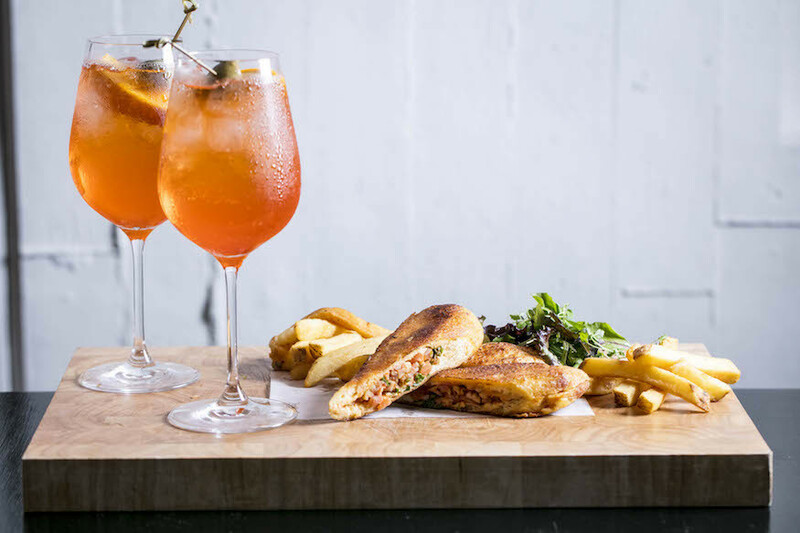 But now, Avenue is taking the brunch rulebook and re-writing it with a helping of bottomless Aperol Spritz on a Sunday (or Prosecco on a Saturday). Our alarm bells are assuaged when we enter this swanky, bright and airy St. James's restaurant, and we're greeted with the smoothest flat white we've ever had. Despite the promo image a serving of pancakes comes with three pancakes. All the traditional brunch dishes are classified as a type of starter. 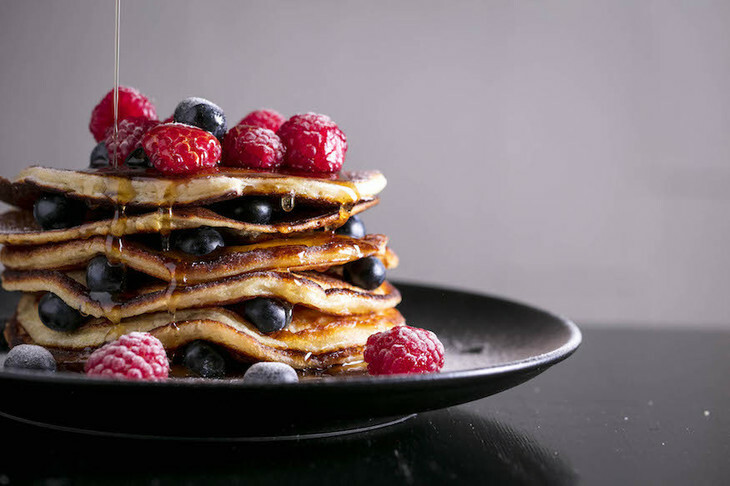 Call us traditionalists, but when we have brunch we want it to be the main of our meal rather than something to whet the appetite. So when we order pancakes with maple syrup and a buttermilk waffle with berry compote, both are fairly small in size. They are nice and fluffy but don't feel particularly warm, making us think they are pre-made — we would have preferred to have them fresh from the frying pan. 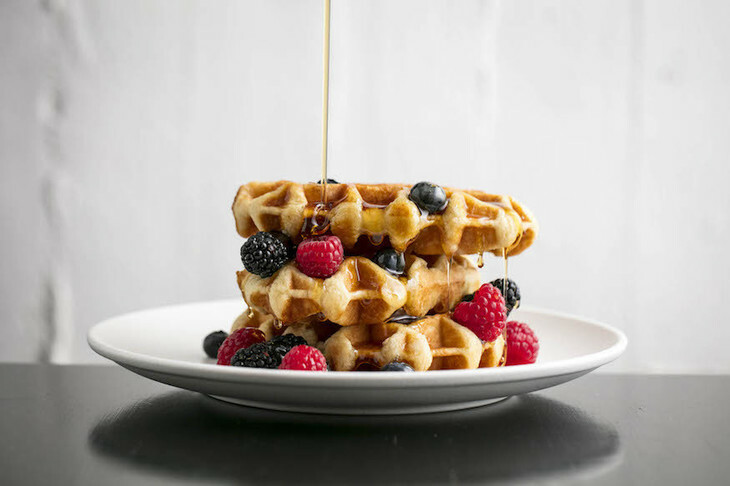 The one waffle we had needed to taste fresher. We plough on to the mains, but burgers seem like the wrong thing to have on a Sunday morning. So we opt for the lobster roll — not quite a burger and light enough that it goes down a treat. The accompanying fries have been over-salted, and really salty fries only work when consumed as a late night guilty pleasure. 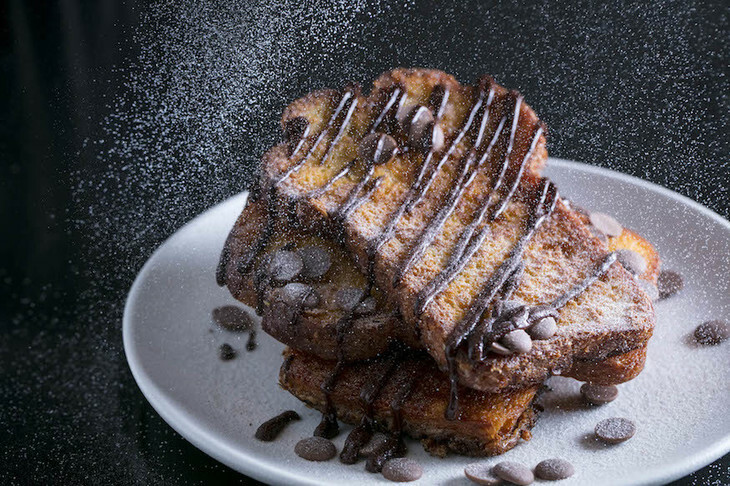 We also opt for a delicious sweet french toast drizzled with chocolate and accompanied by ice cream. This is a monster — the two slices of bread are extra chunky and it's more than enough for us to not even consider getting three courses. A savoury version is also available, but we didn't try it. Thick slabs of French toast are lovely. It's at this point that a very enthusiastic DJ appears at his decks to give us a thumping backing track. It's not really the atmosphere we want as we find ourselves leaning in to our friend just to hear her speak. We've written on why not everything needs a DJ and this is another case in point. For those who opt not to drink (fair enough, it is Sunday morning), the 'shakes' aren't milkshakes at all but closer to non-alcoholic cocktails. This works out well as they are light and refreshing, which is perfect to accompany some of the hefty dishes we've ordered. It's not the traditional kind of brunch we prefer, but pick the right dishes and it can still be a winner. Avenue, 7-9 St. James's Street, SW1A 1EE. The brunch is £25.50 for two courses, £28.50 for three courses. The bottomless drinks are £18 extra.